1. 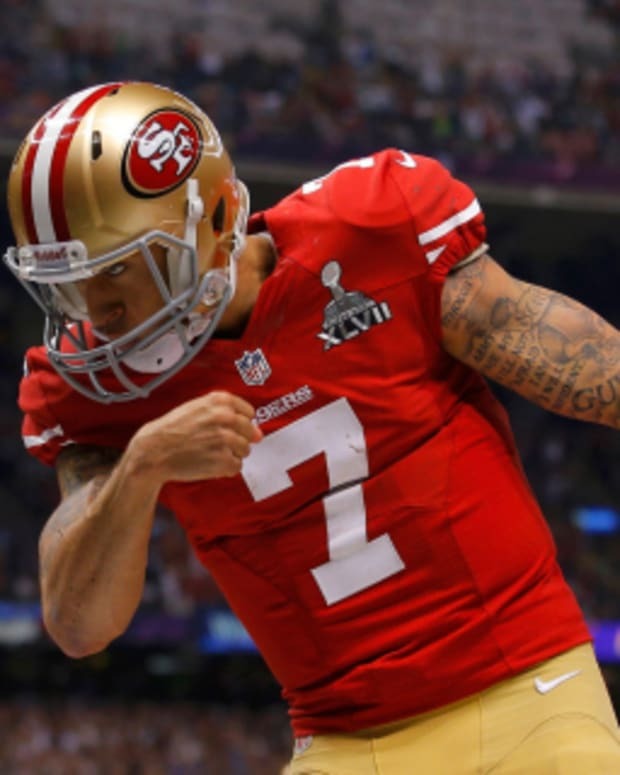 San Francisco – As if the 49ers needed it, the Super Bowl runners up had one of the best drafts in the NFL, utilizing over a dozen picks to perfection. More than anything San Francisco needed a safety, and so they traded up to take Eric Reid in the first round. Their second biggest need was on the defensive line, where they came away with Cornellius Carradine, Corey Lemonier, and Quinton Dial. Carradine and Lemonier are both great pass rushers, while Dial will help stuff the run. Offensively, San Francisco added a quality receiving tight end in Vance McDonald during the second round and a polished wide receiver in Quinton Patton, who could end up being a steal in the fourth round. Also, their allotment of picks allowed them to take a chance on running back Marcus Lattimore, who could become one of the best backs in the league if he ever gets healthy. From top to bottom, it’s tough not to be impressed with the amount of talent San Francisco added in the draft to an already talented roster. 2. St. Louis – The Rams weren’t as successful as San Francisco in the draft, but they’re still among the best in the league. St. Louis did three things in the draft that stood out: added speed, drafted needs, and got value from their picks. In the speed department, the Rams drafted West Virginia wide receivers Tavon Austin and Stedman Bailey, who should give the St. Louis offense plenty of speed, especially on their turf field. The Rams also did well to address their needs, taking Austin at wide receiver and Alec Ogletree at linebacker in the first round, and then taking T.J. McDonald at safety with their next pick in the third round, quickly taking care of their three biggest needs. 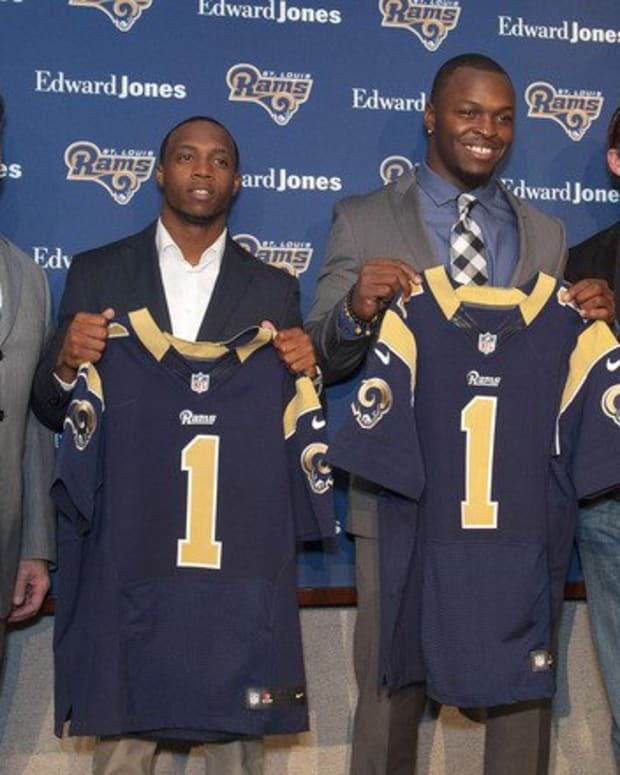 Finally, the Rams got a lot of value for their picks. Ogletree was far better than the 30th best player available, offensive lineman Barrett Jones is far more valuable than a fourth round pick, and running back Zac Stacy is much better than a fifth round player after being the most consistent runner in the SEC over the past two years. All seven picks the Rams made in this draft were quality selections, significantly improving the makeup of their entire roster and giving them one of the best draft classes in the NFL. 3. Seattle – The Seahawks couldn’t compete with the 49ers and the Rams on this list because they didn’t have a first round pick, but they did have a lot of picks late in the draft, which they used wisely. Without a lot of pressing needs, Seattle was able to pick the best player available much of the time. On the offensive side of the ball they added running backs Christine Michael, one of the most talented backs in the draft, and Spencer Ware, a versatile back with great ball skills. 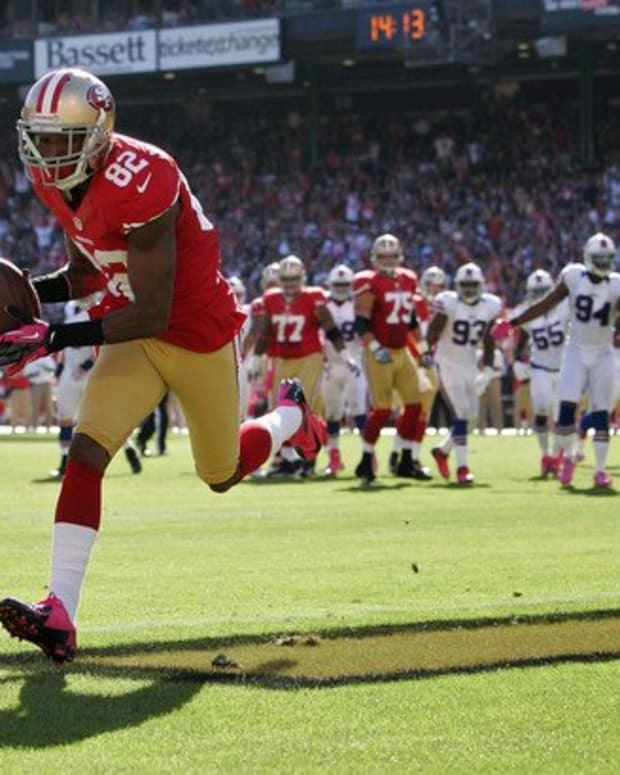 Both players should find roles in Seattle’s offense, as will wide receiver Chris Harper. Defensively, the Seahawks will add third round pick Jordan Hill and fifth round pick Jesse Williams to their rotation at defensive tackle, and Tharold Simon at cornerback; all three players fit in well with what Seattle is looking for on defense. The Seahawks also used their late-round picks on unknown players from small schools that they hope will pan out. This draft class may not look like much compared to San Francisco and St. Louis, but it’s a solid collection of prospects. 4. Arizona – The Cardinals added plenty of quality players in the draft, but they finish last in the division because of some mistakes they made during the draft. The first mistake was drafting offensive guard Jonathan Cooper when they really needed an offensive tackle. Cooper is a great player and will help them, but he’s not quite what they needed. The second mistake was using their third round pick on Tyrann Mathieu. The Honey Badger won’t help on defense, and so using a third round pick on a player who’s nothing more than a kick returner may not have been a wise choice. The third mistake was not drafting any defensive backs outside of Mathieu, when the secondary was a huge area of need. On the plus side, linebacker Kevin Minter and defensive end Alex Okafor will both be immediate assets to Arizona’s defense, and the Cardinal’s offense should be helped by running backs Stepfan Taylor and Andre Ellington and wide receiver Ryan Swope. However, a few nice picks in the middle and late rounds of the draft don’t make up for a draft full of critical mistakes, and that puts the Cardinals last in this division and among the bottom third in the league as far as the draft is concerned.